On the Path to Victory Team Site! underwent facial plastic surgery on October 26, 2015. After her bandages were removed by the plastic surgeon, he was very surprised her face had not healed like it should have. Her doctor recommended she go see an Integrative Medical doctor in Charlotte, NC for further treatment to help heal her skin. Fortunately, the doctor she went to takes Prodovite and he recommended to Renee to take Prodovite and also to apply it to her face prior to each hypobaric chamber treatment. 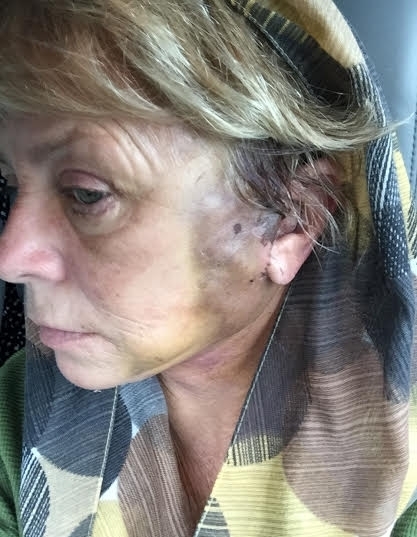 When she went back to her plastic surgeon for a follow up, he was amazed at how well her face was healing and told her to keep doing the treatment that was recommended and to keep taking Prodovite and applying it to her skin. Renee is so thankful that the doctor knew about Prodovite and she realizes it has greatly increased her healing and most likely prevented another surgery. Post Op Surgery Image - Taken Prior to Treatment. November 4, 2015 - 3rd Day of Treatment with HBO Prodovite was applied to face and taken internally. 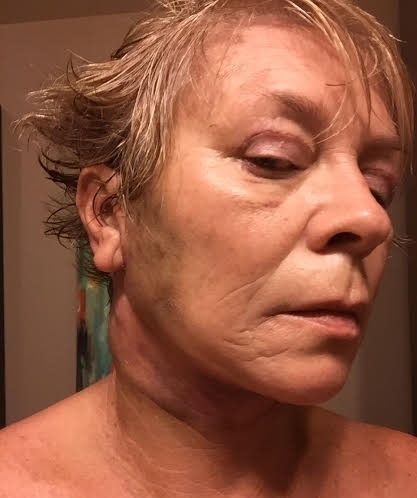 November 6, 2015 - 5th day of treatment with HBO and Prodovite applied to face and taken internally. November 10, 2015 - 9th Day - The left ear is starting to pink up. 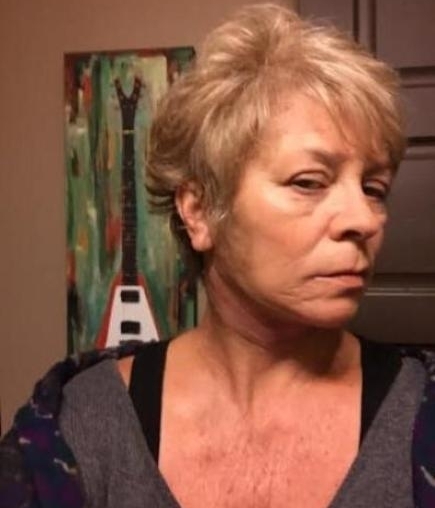 Renee Wilson - December 13, 2015 - Behind right ear has totally healed! November 3, 2015 - 2nd Day of Treatment with Hyperbaric Oxygen and Prodovite applied on face and internally. 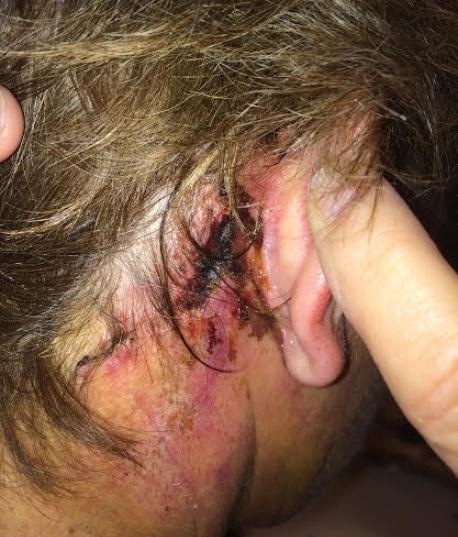 November 8, 2015 - 7th Day, Drainage and open wound behind right ear. Started applying Prodovite behind ear. December 1, 2015 - One Month after starting HBO and Prodovite! How Do I Share the Products?